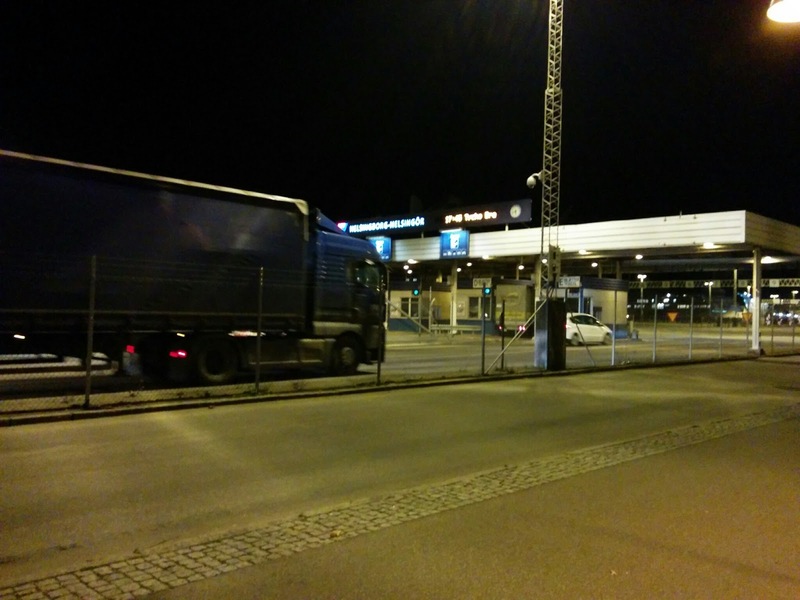 Helsingborg is a small town with less than 100k population, but its economy is booming due to open borders. 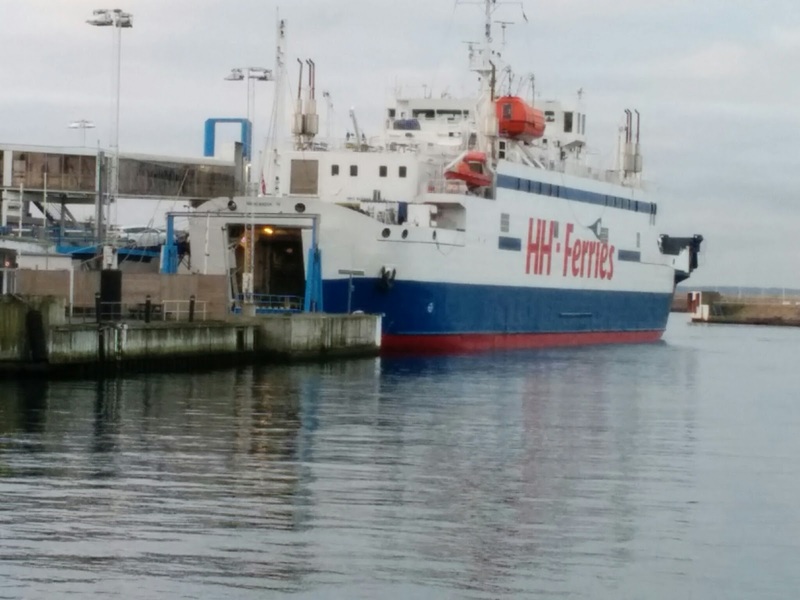 The frequent ferry service to the Danish sister city, Helsingor seems to the catalyst that has made this small Swedish town humming. Oresund strait is pretty narrow and because of that, Helsingborg and the ferry connectivity has become a key commercial hub. In fact, on a clear day, you could see the city on the other side and giant ferries are waiting to take you across in 15 minutes. Constant stream of vehicles drive to the belly of the ferry to be transported across to Denmark. The ferries that ply across are massive, they gobble up hundreds of trucks, cars, bicycles and passengers. It's pretty much open borders on both sides with little or no control. I am sure there are plenty of cameras capturing movements at multiple places, but that's about it. Truck seen here and plenty more like this just drive in to the ferry with little or no border control to continue driving in the Danish side. India and its neighbors just concluded their SAARC meeting Nepal with little or nothing to show. At this time, open borders amongst SAARC countries is a pipe dream, though there is a strong underlying cultural and historical linkage. If Europe, a continent ravaged and bitterly divided by two world wars can bury their hatchet and come together for the collective good of their people, There is no reason why Bharthiyar's dream shouldn't become a reality.. but will it?